But the man who is the chief executive of the furthest US soil from the mainland wasn’t done hammering away generically at those who want to tuck tail and hide from the North Koreans. 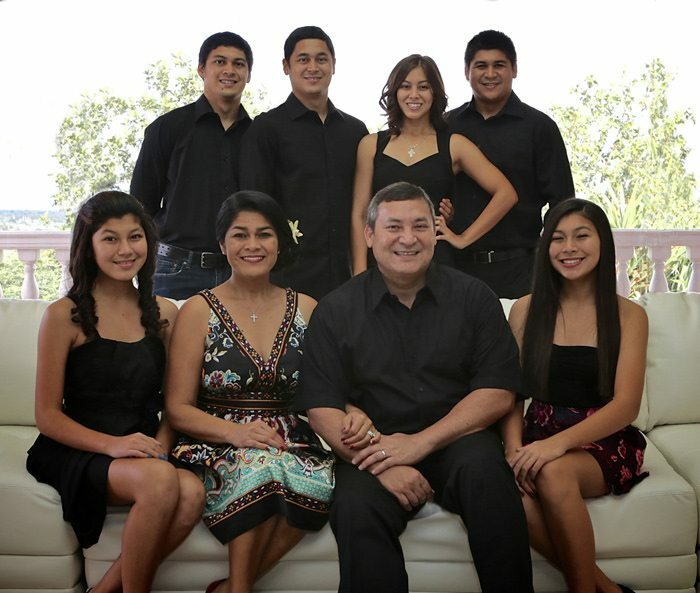 The First Family of Guam. But, Calvo also blasted Sen. Lindsey Graham (R-S.C.) for apparently being open to an all-out conflict in the western Pacific. 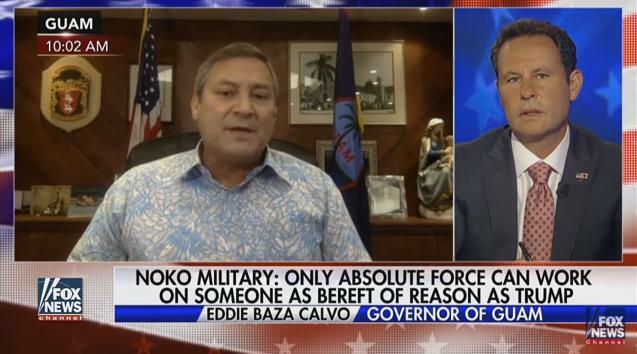 “War is the last option,” Calvo said, adding that many people in the States overlook the hundreds of thousands of people on American soil in Micronesia and Polynesia. Like the overwhelming number of American citizens who trace their lineage to the Marianas Islands, Gov. Calvo’s ethnic heritage is a mostly of a mix of the indigenous people, the Chamorros, and the Colonial Spanish, with heavy doses of everything from Irish to Japanese to Italian to German. A prime example would be of Calvo himself: His paternal great-grandparents were Don Tomas Anderson Calvo and Doña Regina Martinez Torres. His maternal great-grandparents were John Francis McDonald and Dolores Mariano. It should also be noted that the governor’s maternal grandfather was Antonio Camacho Baza, a former United States Marshal. During the Fox News interview, Gov. Calvo may have angered some on the political Left for having a particular religious item there in the Governor’s Office – to the viewers right of Calvo is seen a small statue of the Holy Infant Jesus being held by the Blessed Virgin Mary. Guamanian girls at Tumon Beach.